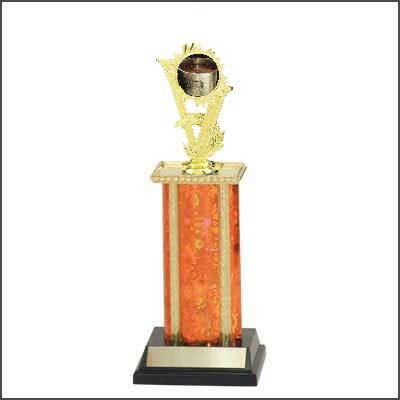 Do you need a cooking trophy for your next event? 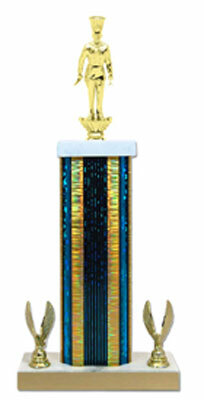 We offer a great selection of cooking trophies. 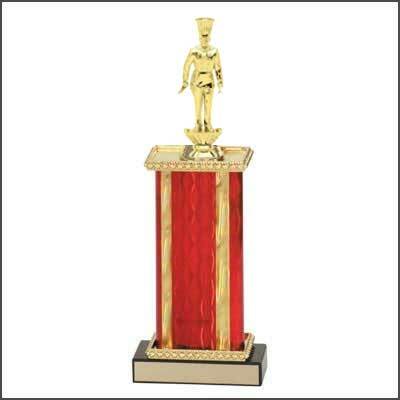 You can choose from chef trophies, BBQ trophies, grilling trophies and chili pot trophies. 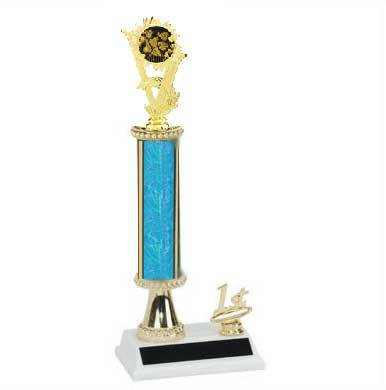 Our cooking trophies are available in many styles and sizes. 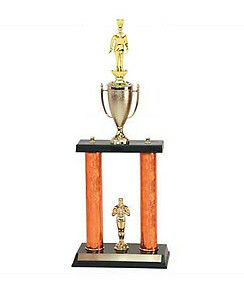 Choose from a small cooking trophy all the way up to a large four column, five foot trophy. 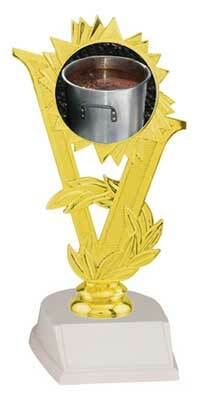 All cooking trophies come with 40 characters of free engraving. If you need more than 40 characters of engraving the cost is just $.07 a character. 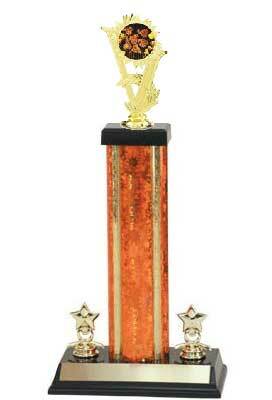 Most trophies are shipped before seven business days. Standard shipment is UPS ground, however, we can ship UPS air or USPS if needed. Need the order sooner? We can add a 15% rush charge to the order. Special shipping and rush orders must be confirmed by phone 1-800-787-8777. R1R Cooking Trophies with single round column, and riser. R2R Cooking Trophies with single round column, riser, and added trim. 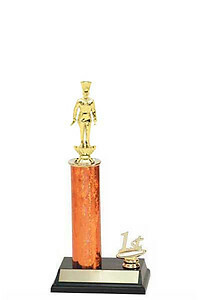 R3R Cooking Trophies with single round column, riser, and added trim. S1 Cooking Trophies with single rectangular column. S2R Cooking Trophies with single rectangular column, riser, and added trim. S3 Cooking Trophies with single rectangular column, and added trim. S3R Cooking Trophies with single rectangular column, riser, and added trim. 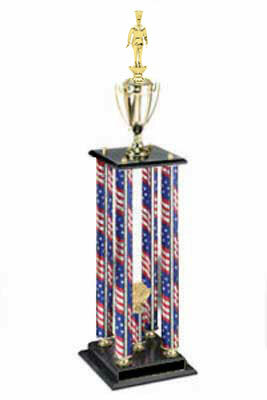 DPS Cooking Trophies double post, stacked column design. 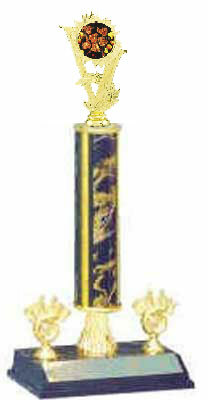 3PC Cooking Trophies three post column design. 3PSR Cooking Trophies three post column design. 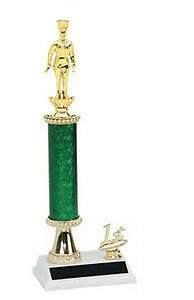 4PC Cooking Trophies four post column design.